Hi Everyone! This winter has been rather strange here in Germany this year. Unlike last year, this year has been really mild. We have received very little snow, and the temperatures rarely have dropped below freezing. Today, you can hear the birds chirping their lovely songs which awakens the springtime feelings in all of us. 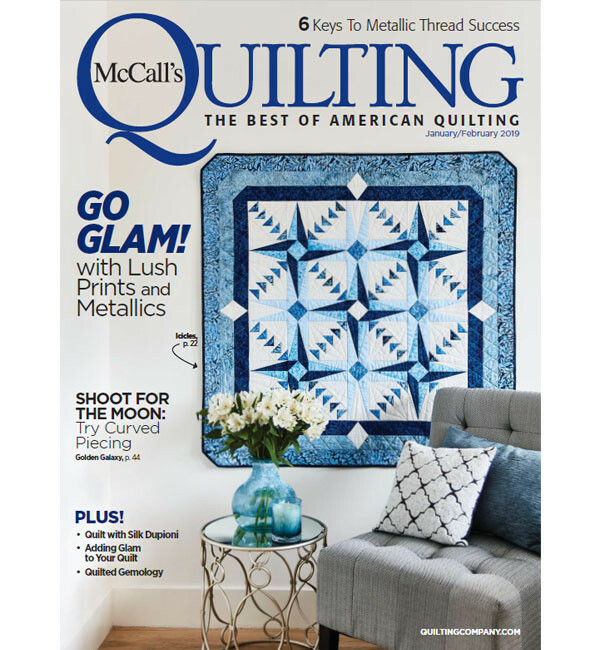 This can only mean, it is time to get out the fresher colors from your fabric stash and make something exquisite! 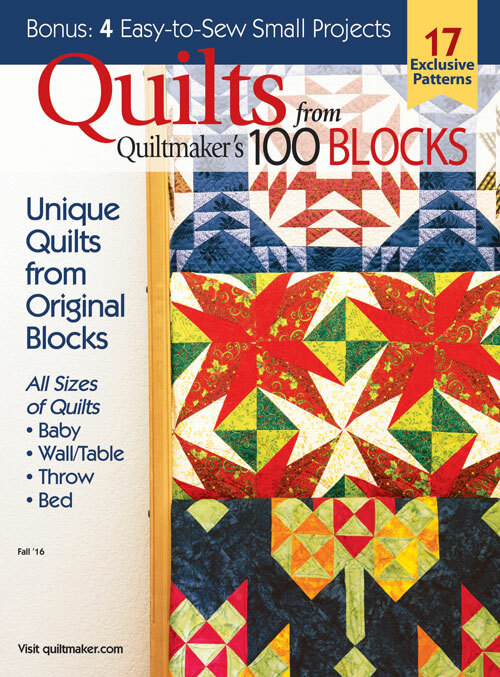 I have an exciting new quilt for your featured in Quilts from Quiltmaker's 100 Blocks, Spring 2016! Get your copy while they last! Check it out at your local newstand! Although I am an American, I live in Germany, close to Ulm, along along the Donau (Danube), which is the second largest river in Europe. It originates in Donaueschingen (Germany) and continues throughout 10 countries ending in the Ukraine and emptying in to the Black Sea. It is a major international waterway for southern Europe. Living here along the Donau definitely influences my day-to-day routine and life. Although the winter months can be very gloomy, the summer months bring many bicycle tours and walks along the river paths. 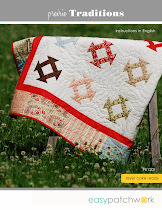 The Danube River Quilt uses a basic horizontal setting which gives a vertical illusion of water flowing through the quilt. You can quickly adapt it to any size quilt and would also be a great block for a single pillow cushion. 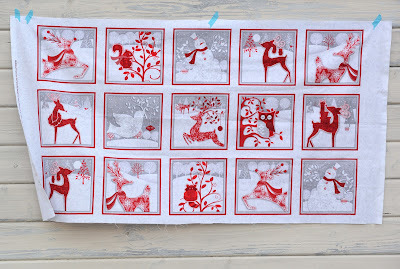 You could also make this happy, scrappy with one shade of blue for the water and all those unused scraps for the birds. Have fun with it! So where can you get this magazine? 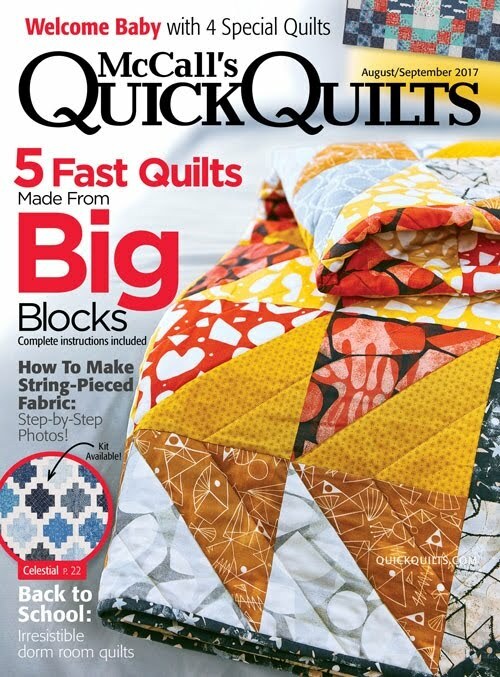 It should be hitting your local quilt shop on March 1st for all those located in the United States. For those located in Europe, it may take a little longer. 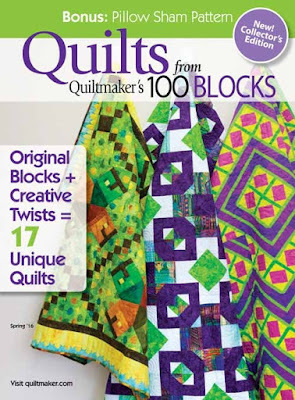 Check out your local quilt shop or bookstore to pick up your copy today! Thanks for stopping by! 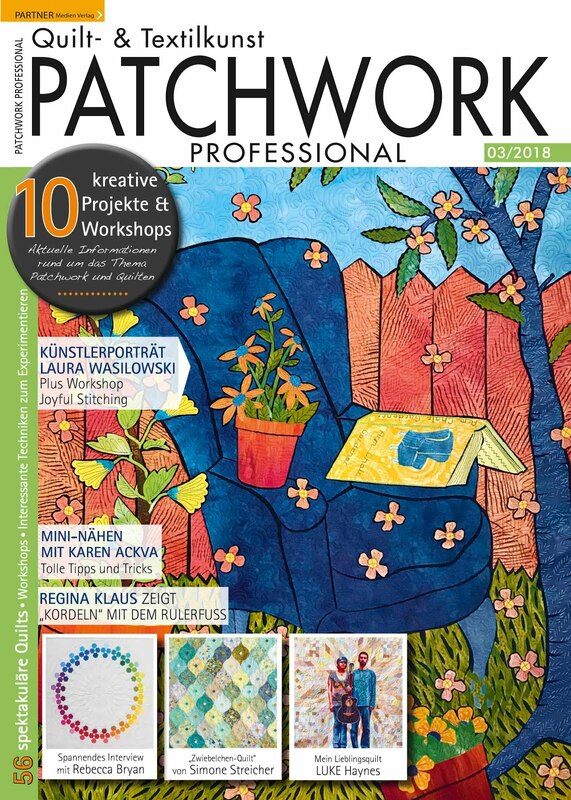 Since last year I have been thinking about what to make on my monastery weekend retreat with my patchwork group. 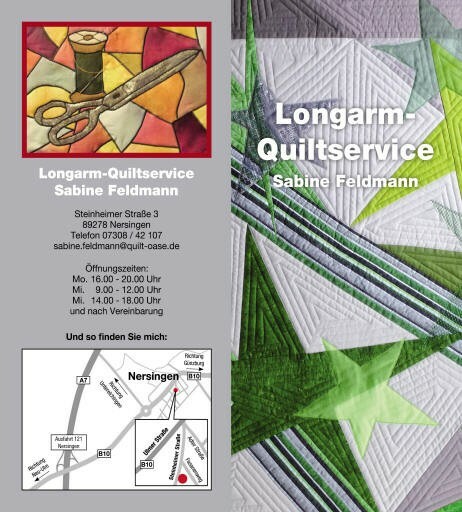 My quilting group organizes a weekend retreat once a year in a monastery or convent where we sew for ourselves; this is not a course. 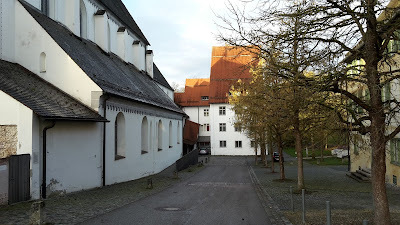 Since there are quite a few monasteries and convents in Germany, you can book meetings, seminars, and retreats of all kinds with a full breakfast, lunch, dinner meals as well as breaks & snacks prepared so you concentrate on your plan at hand. I find it very rewarding and relaxing to have just one dedicated project for a retreat to make complete value of my time. 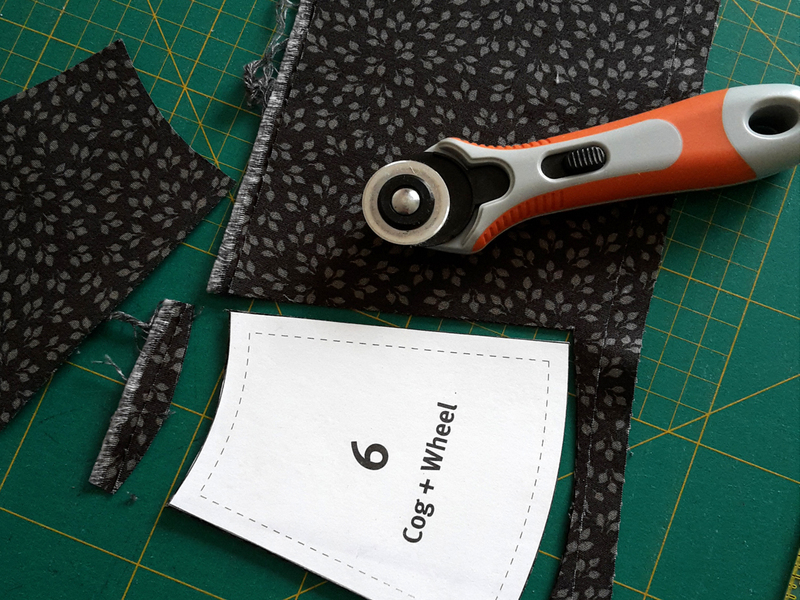 As mentioned in one of my earlier posts, I am on a journey of circles this year and decided that I wanted to make a Denyse Schmidt quilt called Cog + Wheels which has mega-sized blocks and mainly circular sewing. I designed my quilt using Denyse Schmidt's block and pattern in EQ7 using fabrics from several of her collections using orange, brown and black as a binding color scheme throughout the blocks. 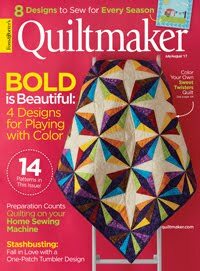 These seem to be my "comfort colors" when designing a quilt that is used by my family in our living room. I alternated the black tips to give it more of a scrappy look and a little less unified. I learned from Katrin last year, it is best to cut all of your fabric and blocks before you go on a retreat which really allows you just to sew. I started cutting my fabric two days before the retreat thinking everything was under control. Boy, did I totally underestimated the time it took to cut out the fabric (and sew it together)! Fortunately, I was able to use my new little Roll Buddy. 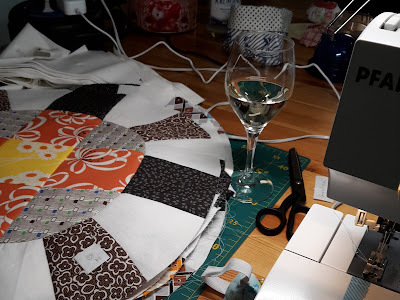 Even though I usually design my quilts on the computer beforehand, I usually ending up changing a few things around when the fabric is in front of me. I let the fabric talk to me during the sewing process. Sometimes it just jumps around on me and says something totally different than the original plan. I don't mean I sew it together wrong; it just looks better in real life than it did on the plan. I started to lay out the blocks to see if they looked as good as on the plan. 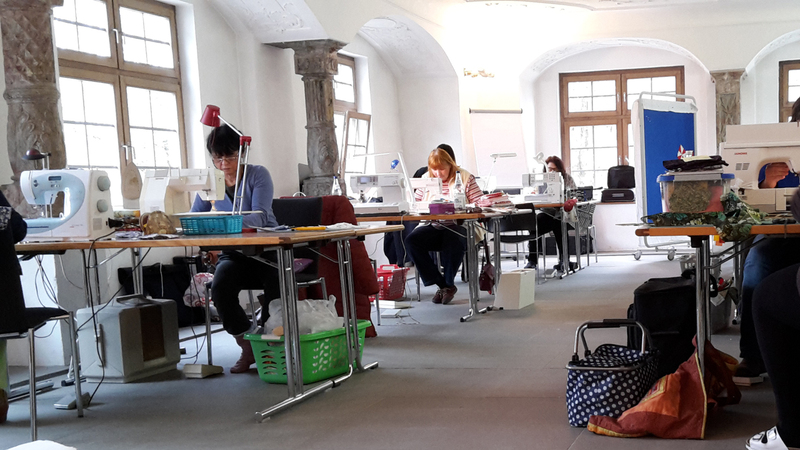 I got my station all set up in this lovely 80 square meter room which has a wonderful size for 13 sewists. I picked a location close to one of the many windows on the South side. We all brought additional lamps which you really need at night when the lighting fails. I finished up sewing the outer rings and placed them on a design board to see how I wanted them to work on the inside. Somehow I got really confused; I wasn't sure of my plan anymore. Nothing was looking right. I put them away for the night and started fresh the next morning. I decided to stick with my basic original plan of using a light colored fabric for the background of the inner wheel ring. It took the entire day to get back on plan after I ripped out a lot of stitching. Then it was time for my reward after all of the inner wheels and rings were finished. But I didn't stop here on Saturday. I kept on going. 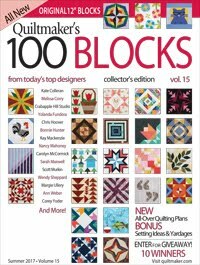 I was determined I would sew all finish all 12 blocks by sewing the outer solid linen fabric to complete the blocks. 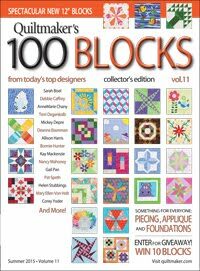 I finished the last block at 00:20. I was dead tired and turned in. 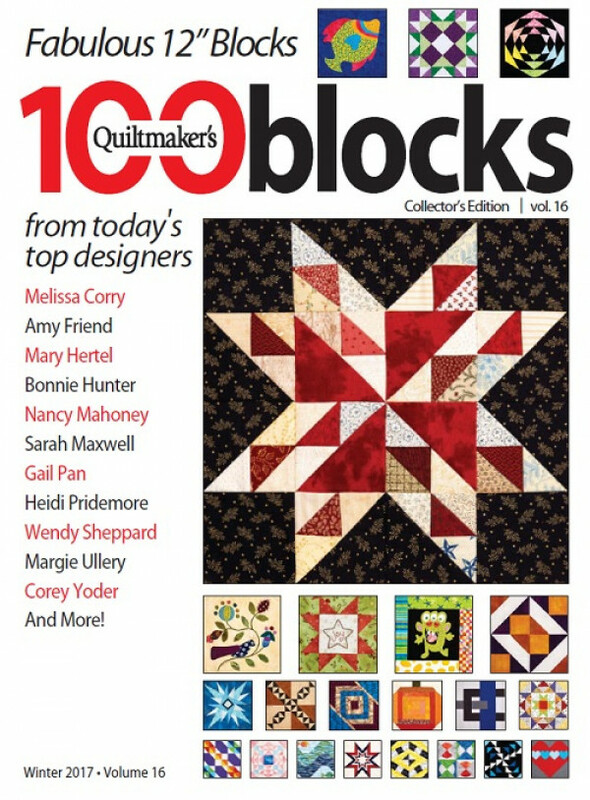 I learned the next morning I sewed one of my blocks together wrong. 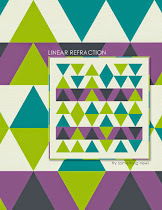 The outer corner triangles were bowed and not squared. 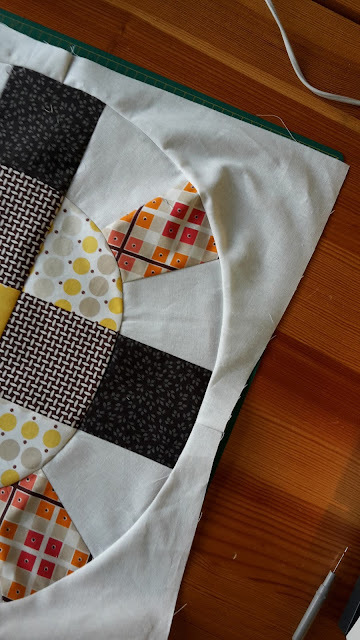 I discovered I sewed the outer ring of just one of the blocks on wrong. You see, these are not entirely round but oblong. The seam which you see at the top of the picture should be rotated 45° to the right. 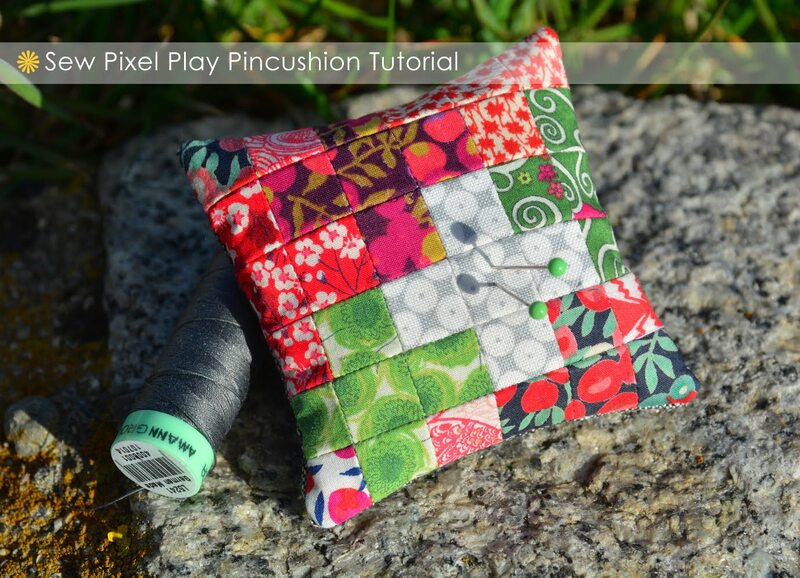 The seam should be at the center of the orange checked fabric and not at the center of the black square. After I realized what I had done wrong, it was all easy street. 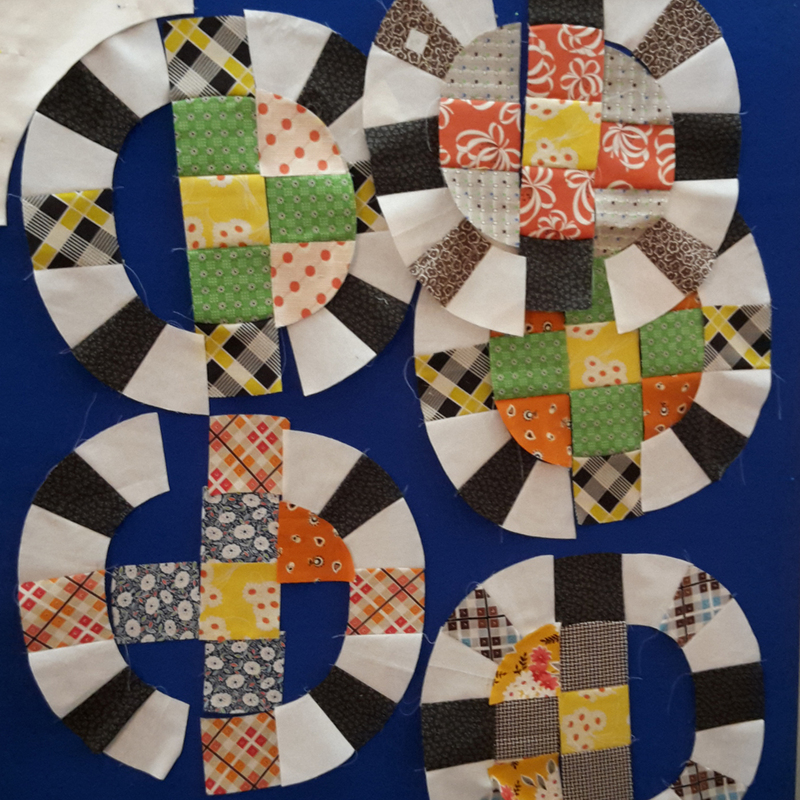 I finished my quilt blocks and arranged them as outlined in the original plan (according to the outer rings and not the inner wheels). 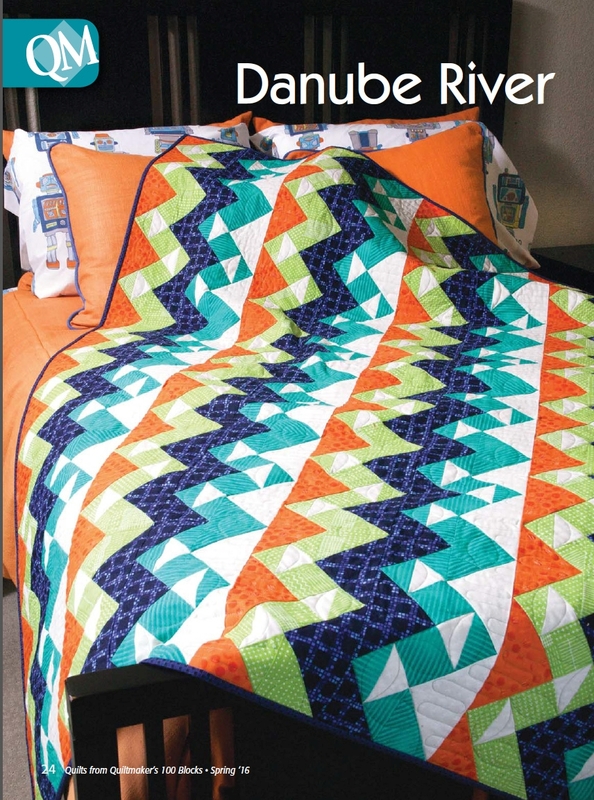 The outer corner triangles are sewn on wrong. Now it was the home stretch. I was going to finish the quilt top before the end of the retreat. 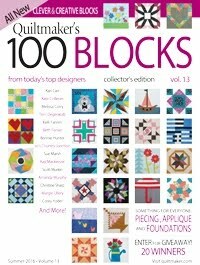 I ironed all of my blocks and arranged them. I sewed row to row together. I used my beautiful window bank to keep the rows in correct order. And then it all came together. 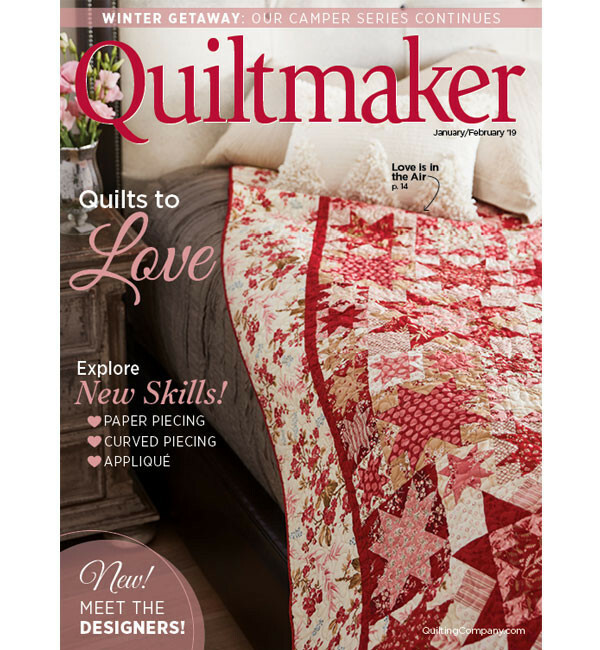 This is one HUGE quilt top. It measures 66 x 88 inches. 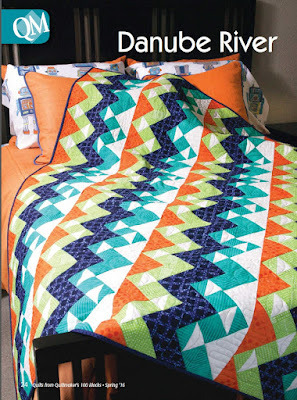 It is definitely big enough for a sofa quilt if not a bed quilt. 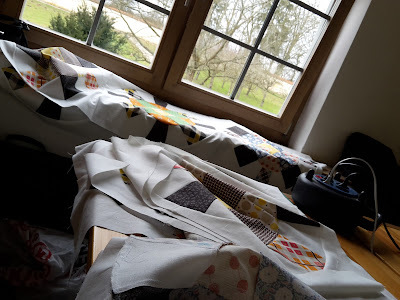 I had no great idea of where to photograph the quilt due to the drizzly rain and overcast skies outside. The lighting inside was also rather drab but Beate helped me to get a fairly good photo in the stairwell! Tada! My Cog + Wheels quilt top finished on one weekend retreat. I managed to get a better photo of the quilt top this morning after being amply ironed and de-stringed. 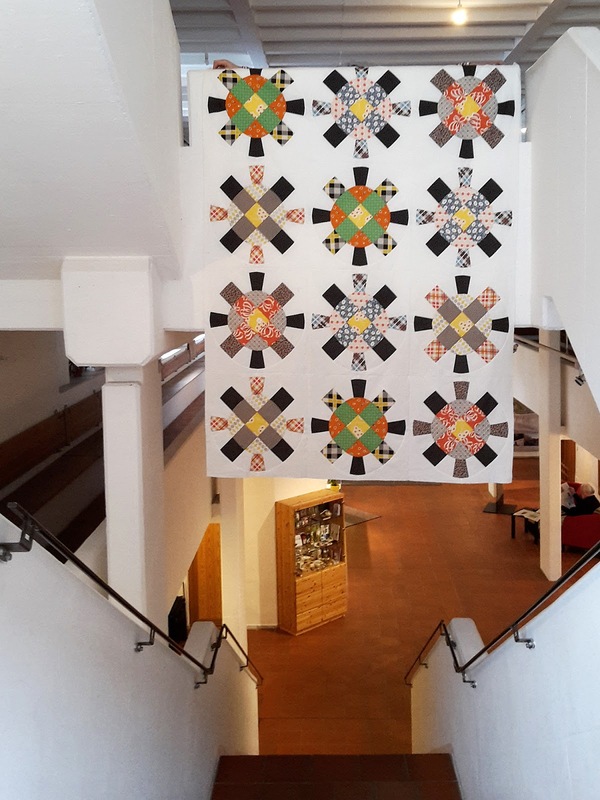 This quilt is very different from many of the quilts that I have made, because it seems that the whole design is more important than the individual blocks. I feel that if you look at each block separately, it doesn't strike me or sing to me. But if you look at it collectively as a whole, it seems more impressive. 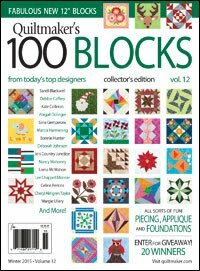 I think it is because I am used to sewing on a smaller scale and these 22" blocks are so massive. What do you think? 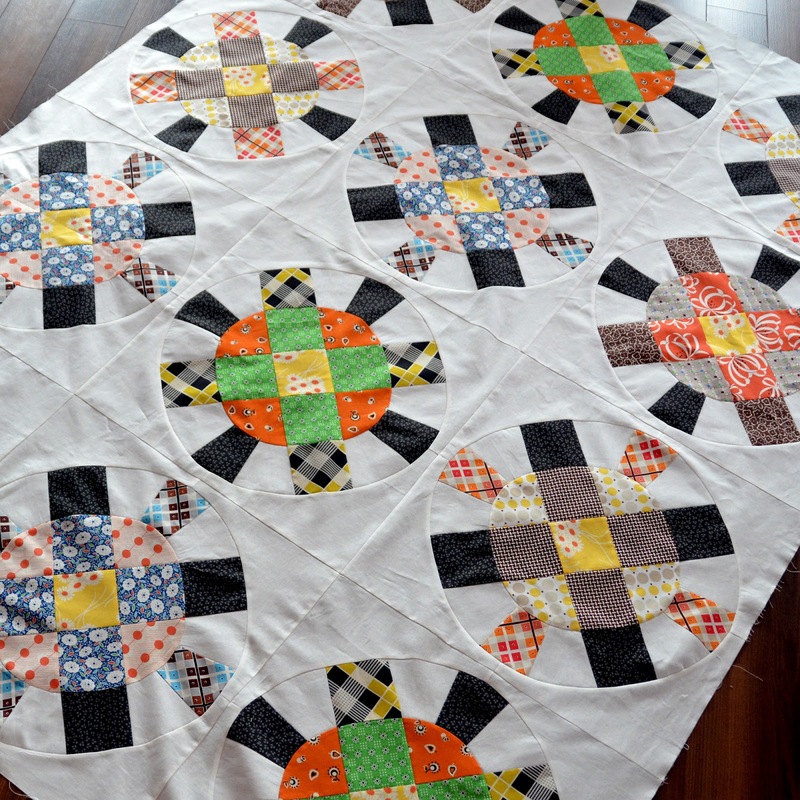 This quilt also took an extremely long time to cut out and to sew. Please don't underestimate this one. It may look easy, but it takes forever. I think it took me forever, because I was creating four separte blocks but alternating the black tips which requires an extra effort for sewing the blocks together correctly. If you would like to see more pictures from our patchwork retreat, feel free to check them on on Flickr or read a blogpost from my friend Katrin who is also a member of our group on the retreat. 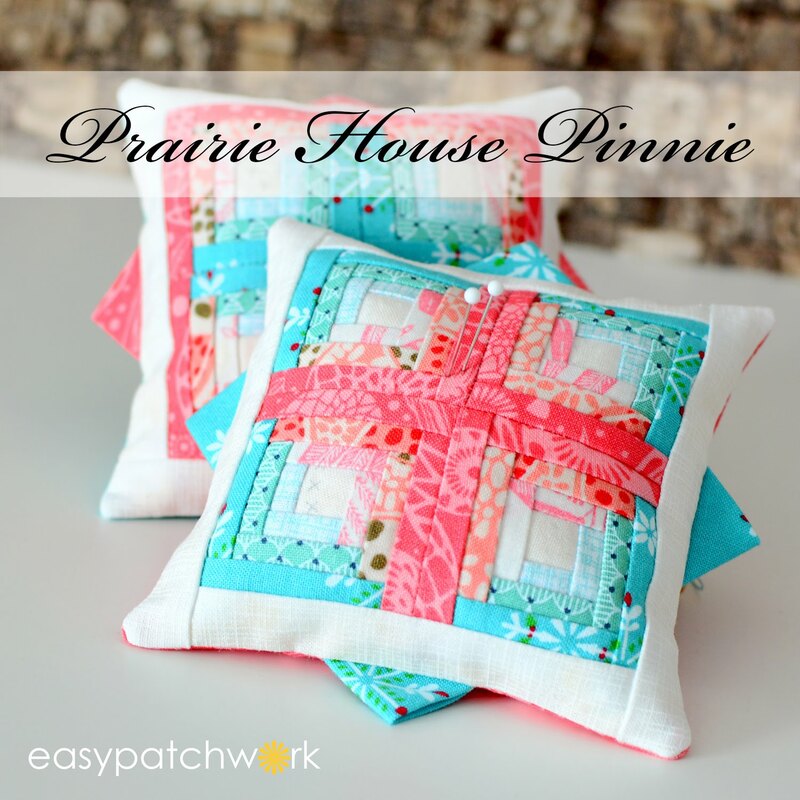 Do you like a fun little projects where you sew the same thing along with other patchworkers or sewist? I think it is a lot of fun and I really enjoyed the Sew A-Long (SAL) with Quiet Play two years ago when Kristy had her Sew Kitschy SAL. I enjoyed using fussy cut prints to fit into the 10" blocks she created everything around the kitchen. 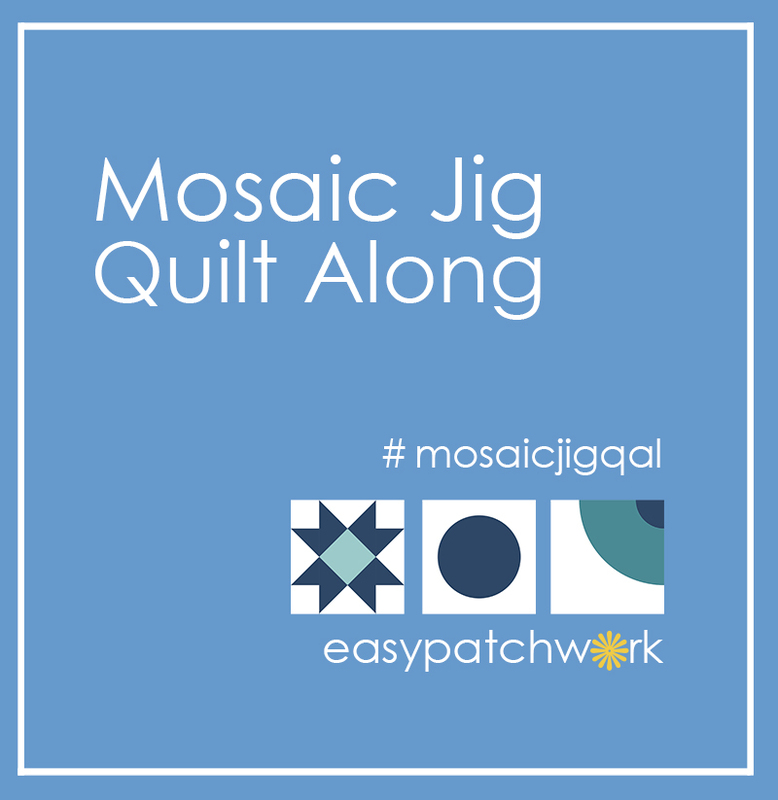 Well, I have been itching for another SAL or Quilt A-Long (QAL) with exactly the same drive, anticipation, and challenges. Lorna, at Sew Fresh Quilts has delivered! First of all, I wanted to participate in Lorna's SAL, the ugly Christmas sweaters. I missed her fabulous Dog Gone Cute and Elephant Parade SALs and didn't want to miss another one of her cute quilts!! 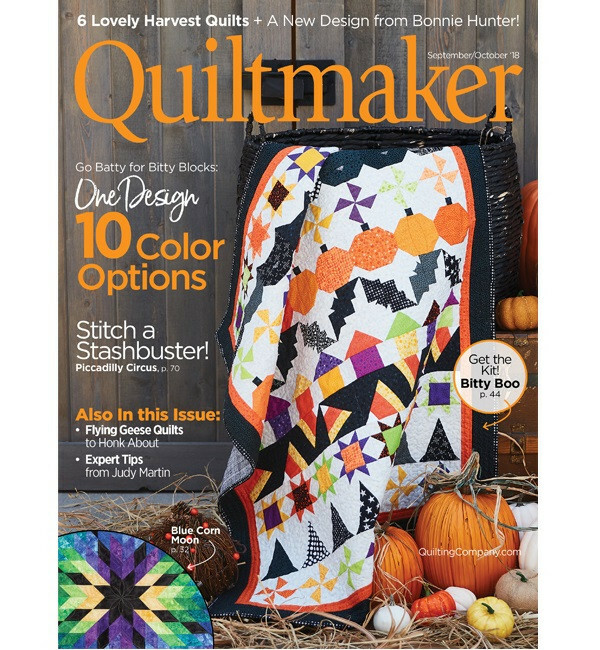 She is absolutely amazing when it comes to the cutest patterns and quilts. I downloaded her lovely printable diagram and started brainstorming. Then I realized that the center blocks were six inches. I might just have an quick and easy way to fulfill the SAL and use some of my stash. I remembered I had bought this fabulous panel from Henry Glass a couple of years ago. I actually loved it so much, I bought a second one. 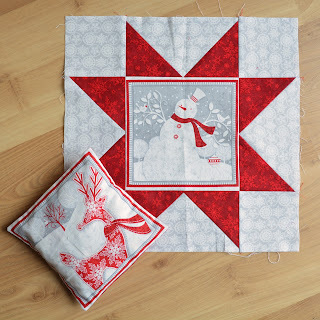 I knew I wanted to make some kind of Christmas quilt with it, but didn't quite have a plan. 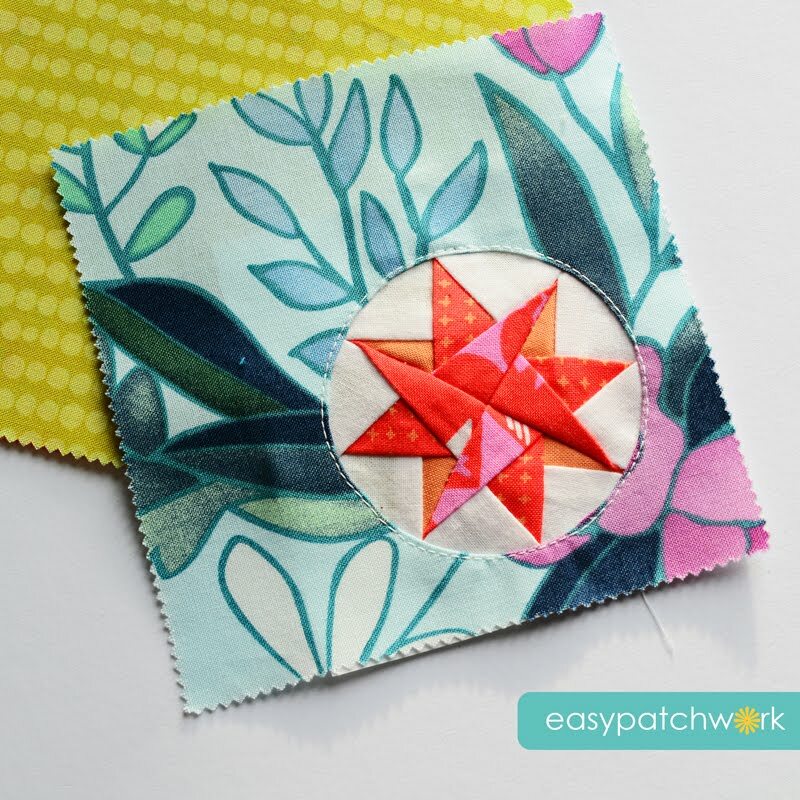 I thought about writing a blog post about what you could do with these fabulous panels and made one star block to show you can make blocks with the fussing cut prints. 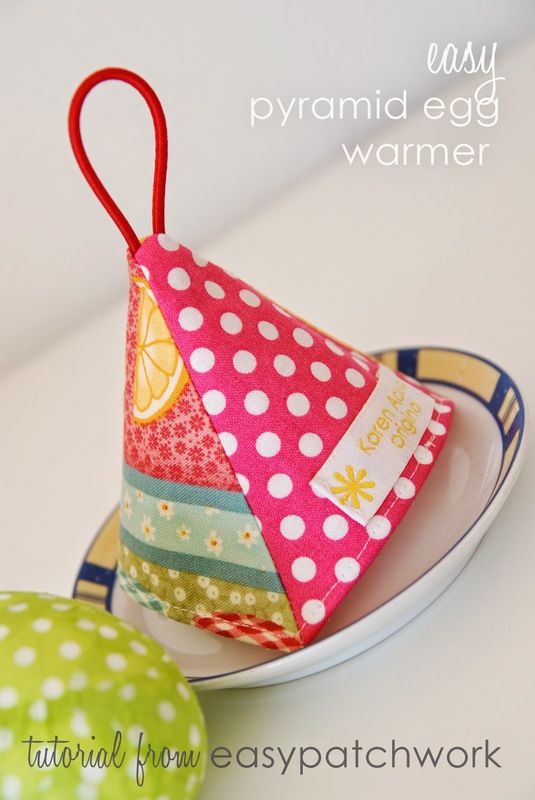 I also made a "Kirschkernkissen" or cherry seed sack for warming (in the microwave) and applying to your aching muscles or a sore tummy. I thought both were cute but I put the fabrics away for another day. 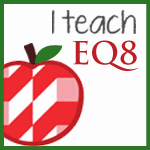 I forgot about the blog post too. When I realized these panels were just over 6.5 inches, I decided I could use them for the sweater motifs. These would work perfectly for the center blocks in Lorna's sweaters and look pretty cool actually. 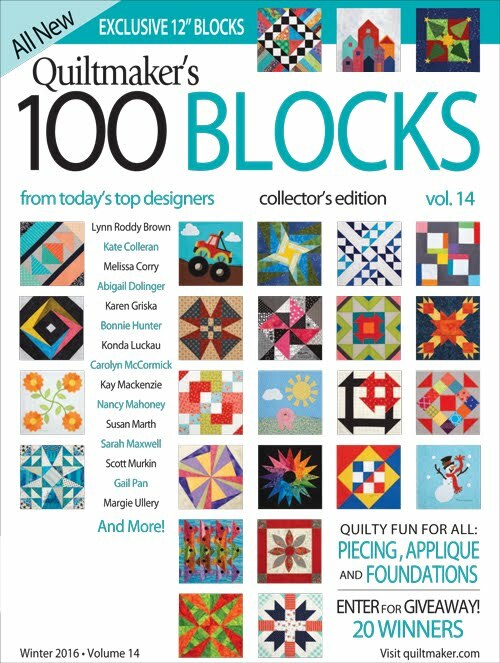 I wouldn't have to make the new blocks! 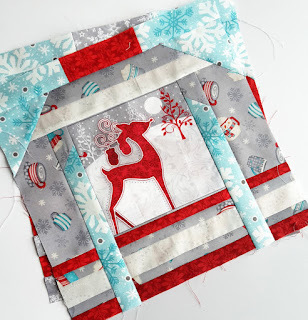 This would be a perfect fit to use up the panel, make a Christmas quilt (my first ever) and participate in the #uglychristmassweaterssal. 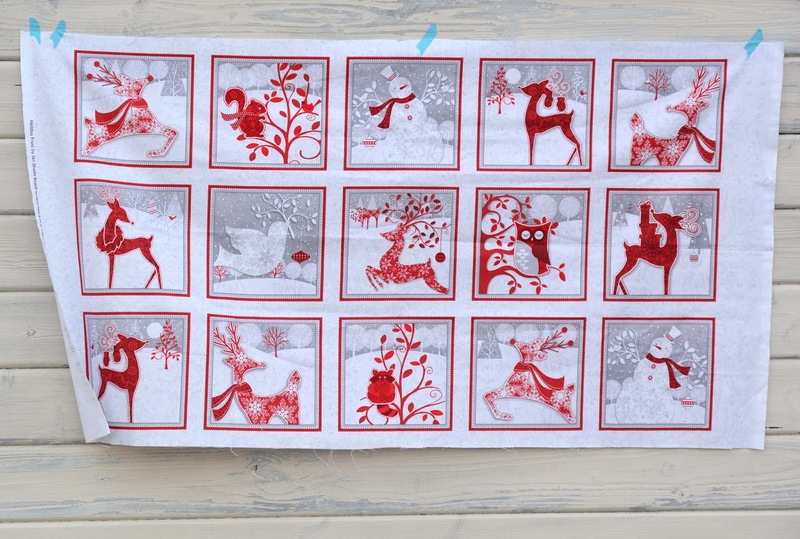 I pulled some fabrics I bought at Quilt et Textilkunst in Munich last year right before Christmas. 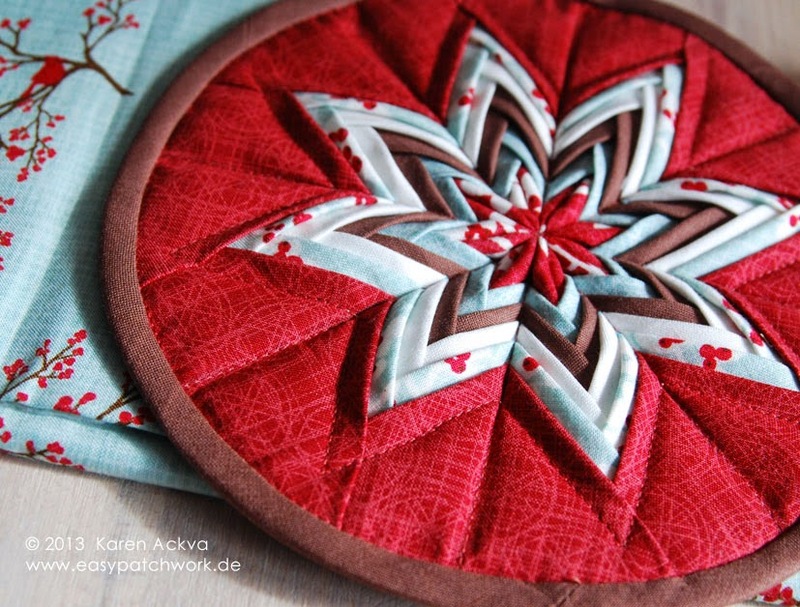 I just loved the red/gray/and turquoise mix. 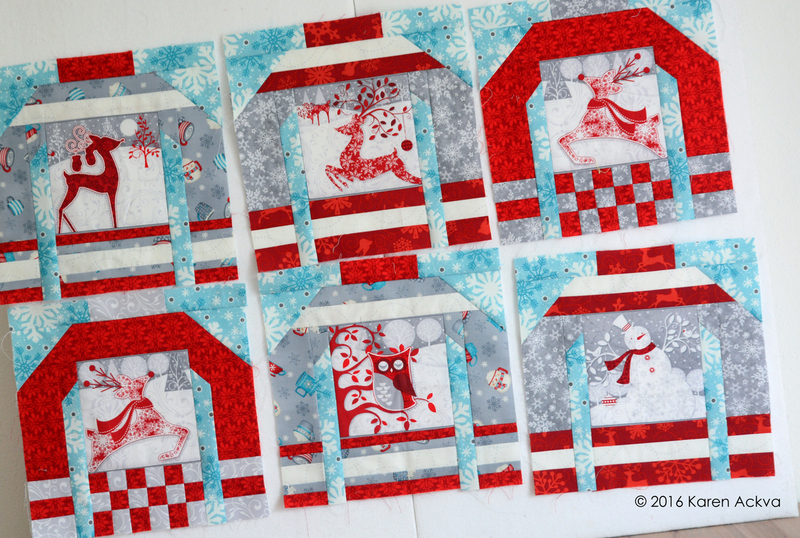 The other fabrics are from Wilmington Fabrics, two being from Debbie Mumm. I made my first sweater using these fabrics that went perfectly well with the Henry Glass panel and coordinating prints. The directions were super easy to follow too. Lorna does a very well job at writing easy-to-read directions that even I can follow! My first block took about one and a half hours to make. Finished! I immediately had to make a second block, because they were just too cute and went so fast. And no, it didn't take as long as the first one. But I couldn't stop! These were getting cuter and cuter. Since I didn't have a lot of the original Debbie Mumm fabric - maybe 30 cm, I realized the Henry Glass fabric was a perfect match to the original red I was using. I pulled out the gray and everything was just falling into place. And the best part about it...it all came from my stash!! Yes, I am sewing my stash off! Two days later, I have a total of six sweaters! My blue turquoise fabric is getting a little tight, but I know where I found it if I need to buy more. I can get it right here in Germany in Munich. So, here are my six ugly Christmas sweaters. Aren't they just so cute!!?? I would like to come up with three other variations of the original sweater with changing neck, cuffs and bottom just to change it up a bit. Do you have any ideas? I think that is it for now. I have to join life again and back to the really important stuff. (I was getting just a little bit obsessed there!) 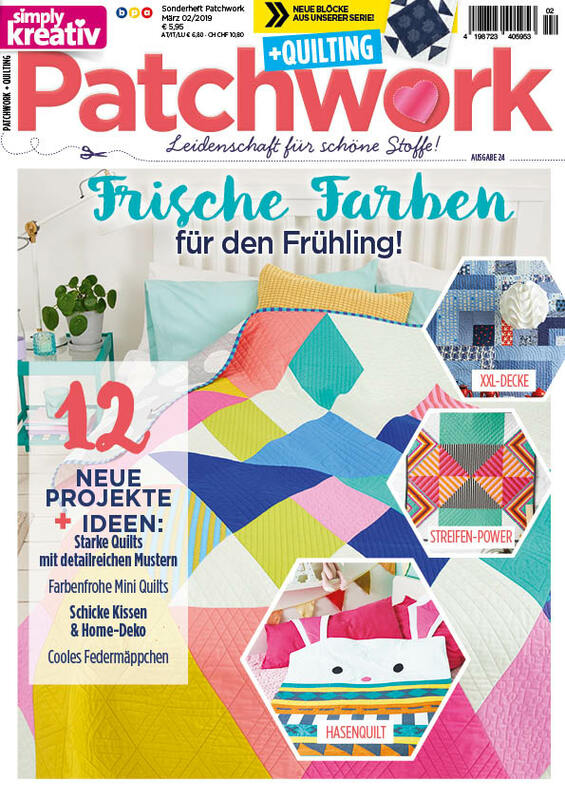 The kids have Faschingsferien next week, so there will probably be NO SEWING for me. That's okay. The end of next week finishes with a long sewing weekend in a monastery with my patchwork group and quilty friends. If you are looking for a fun and easy Sew A-Long, I highly recommend Lorna's Ugly Christmas Sweaters SAL. It is sew much fun! Thanks for stopping by! By the way, can you think of other ways to use a fabric panel? Please share with us.